The last "official" stop of this year's tour and one of the top places we sampled. 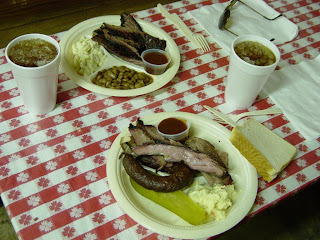 The brisket was so tender it fell apart as he carved it in the pit. 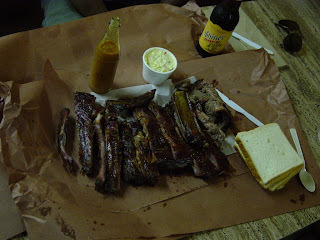 The ribs and jalapeno sausage were top notch as well. 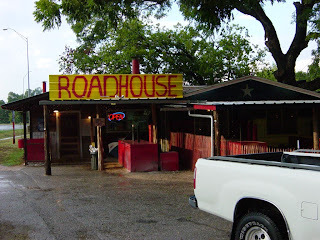 This place is on the SE corner where 190 dead ends, just west of Lampasas. 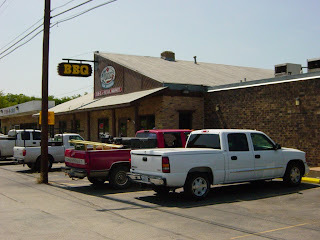 Our first stop on July 29 was Rudy Mikeska's in Taylor. We skipped the "recommended" spot just to try something different and I'd like to try here again. 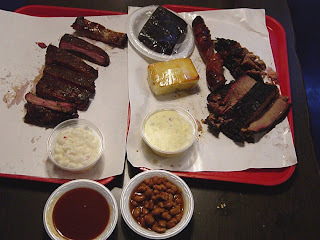 The ribs and beef were really tasty, but tough. 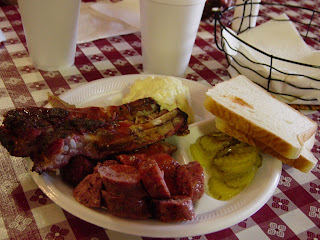 The jalapeno sausage was great and the sides were pretty good. 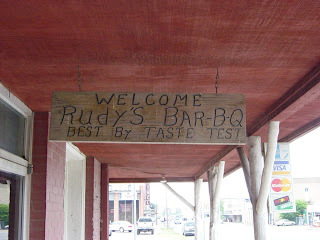 Rudy has a bunch of relatives in the BBQ biz, too. This place won the prize for most dead animals on the wall per square foot. 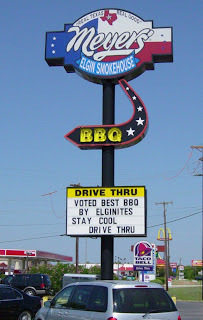 Our second stop in Elgin on July 28 and again the tater salad was the best thing I sampled. 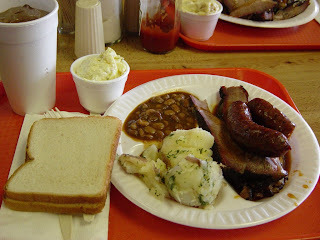 I'm in no hurry to return to Elgin, except for the tater salad and maybe the sausage. 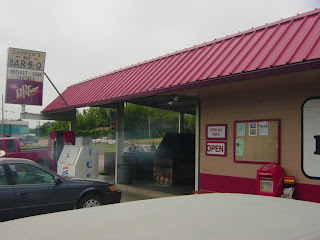 Another top rated joint according to several folks but we must have been there on a bad day. The garlic pork sausage was the only thing that rated an "attaboy" on this trip. First time in a long time I have had a rib that I couldn't even finish because it was so bad. 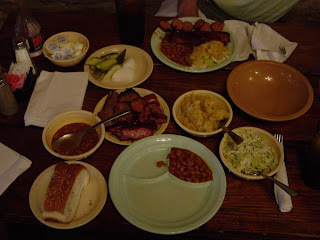 Tater salad was the best of the trip, though. 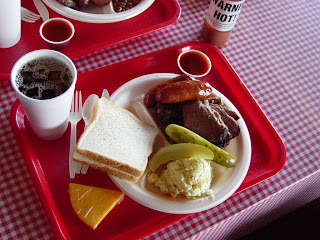 Our second stop on July 27 was Ruby's BBQ in Austin. 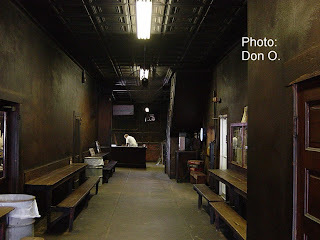 Another of my favorite old haunts from the days when Antone's was right next door. 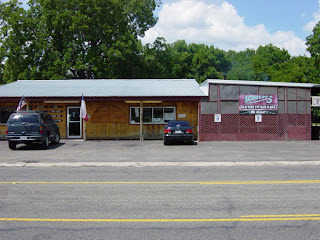 Beef, sauce, and fried potatoes were all top notch, as they always have been. 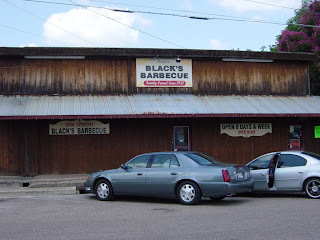 Our first stop on July 27 was Black's BBQ back in Lockhart, Texas. One of the top stops on this tour. 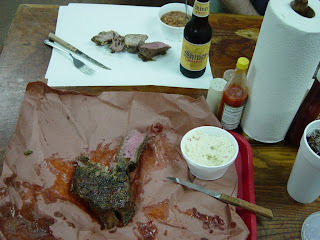 The ribs and sliced beef were as good as any we had and better than most. 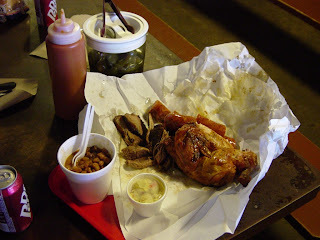 The sausage was spicy, flavorful, and neither greasy or dry. 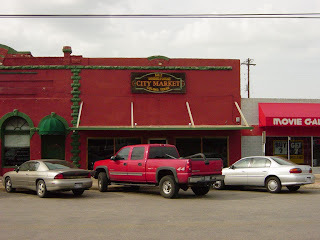 Our second stop on July 26 was the famous Luling City Market in Luling, Texas. Now here's a place that deserves its reputation. The ribs were first class, tasty and tender. 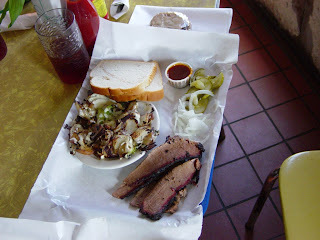 The sliced beef was some of the best we sampled. I sure don't like that mustard sauce, though. 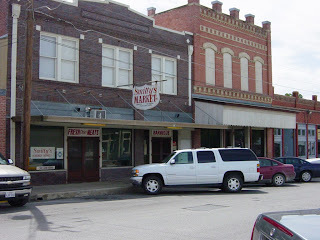 Our first stop on July 26 was Smitty's in Lockhart. 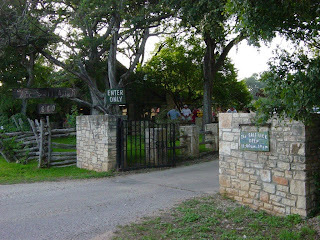 It has been ranked tops by Texas Monthly, among others. Shows what they know. First off, no ribs except on weekends. Second, no sauce. 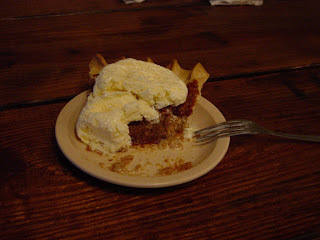 Third, no forks! Yup, all you get is a plastic knife and you're supposed to eat with your fingers or wrap it in bread. 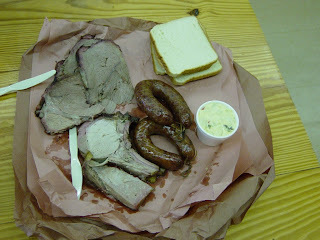 The sliced beef was tough and chewy and the sausage was little more than grease in a casing. The porkchop was tasty and tender and an easy highlight. 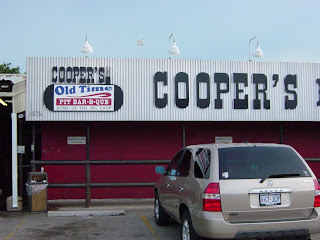 First stop on July 25 was Coopers in Mason, Texas. 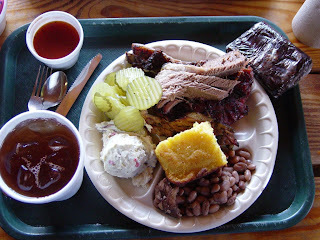 Their sliced beef and chicken were excellent and the beans were as good as the Llano location. 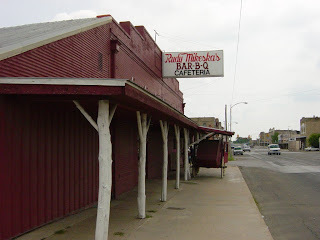 Second stop on July 24 was Coopers in Llano, Texas. 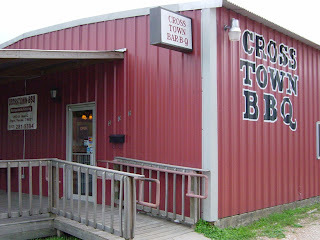 We got there about an hour before closing and they were out of ribs. However they are famous for their porkchop so we gave that a shot. It did not impress. 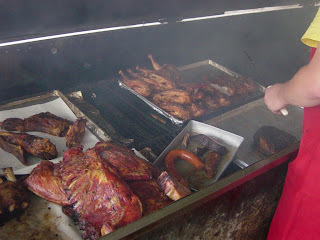 However they also had some sirloin steak in the pit and that was fantastic. Also probably had the best pinto beans of the trip.